Google Domains is only available to people based in the United States and limited countries at this time. Custom Domains is a paid feature. 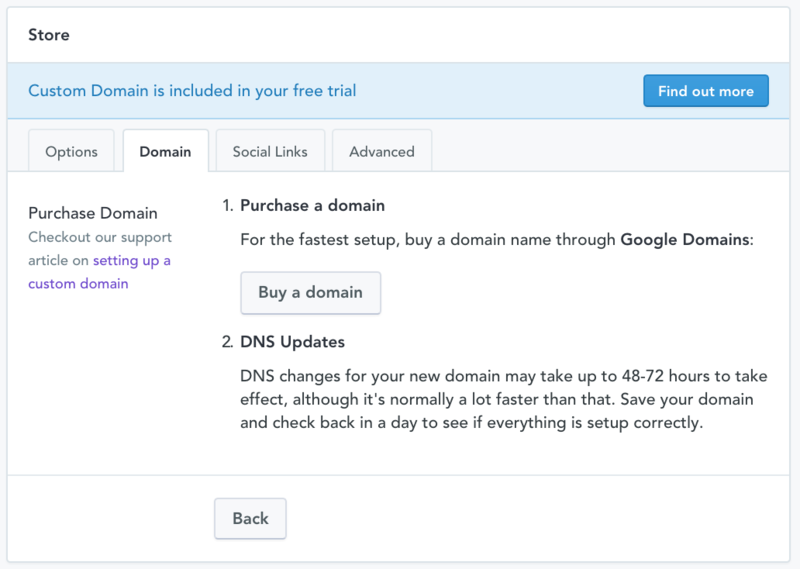 The Custom Domain feature comes included in the Pro and Standard plan. 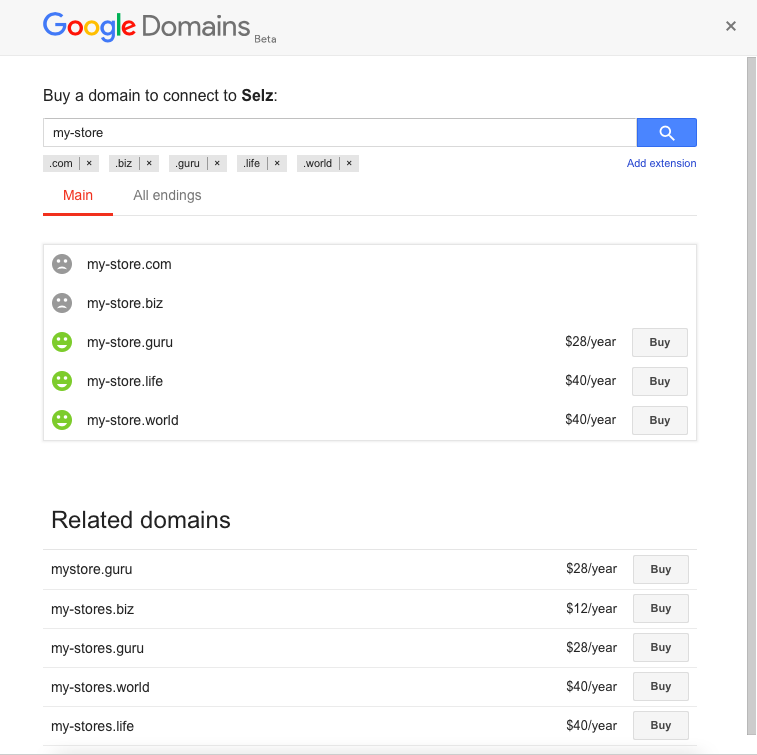 Before getting started with Google Domains, you'll need to have a free Google account. You likely already have a Google account if you use Gmail, YouTube, or Google Drive etc. Click on Store > Settings > Domain > Manage. Selecting public means that anyone doing a whois query of your domain will be able to see the personal information entered into this contact form, including the name and address. Selecting private means that the domain is registered by proxy, so that a third-party company's details appear (rather than yours) when a whois query is run. 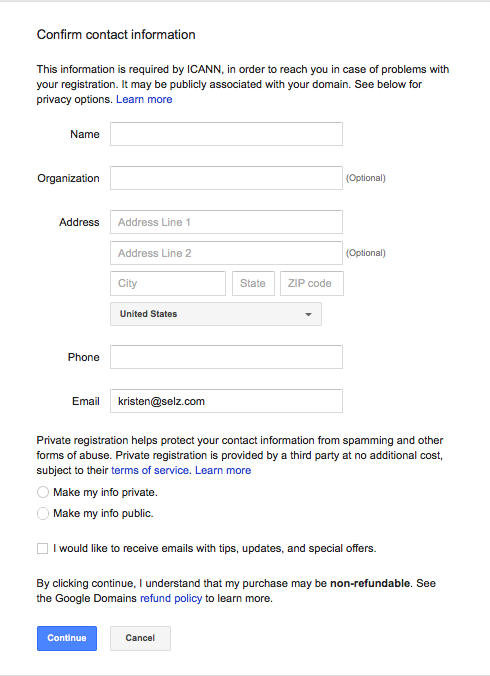 Google makes no charge for this service (although some other providers do charge a fee for private registration). After completing the purchase, it may take anywhere between 30 minutes to 48 hours for setup to complete. To check if the setup is complete, enter your domain in your Store Domain Settings and click 'Test'. If successful, save your settings. 4. Lastly, make sure to go to your Selz Store Settings and enter your domain. Then click 'Save'. Get in touch with your registrar and make sure the redirect has been set up correctly. 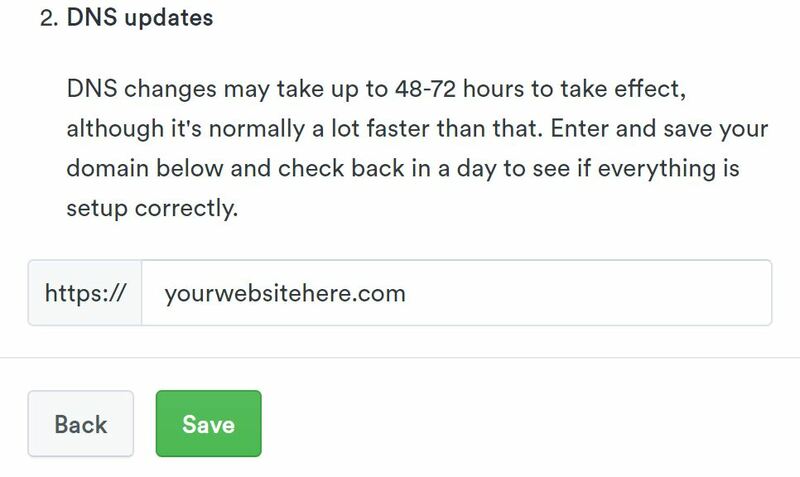 DNS changes may take up to 48-72 hours to take effect, although it's normally a lot faster than that.